Korean Nasotec Corporation Intoduce the Swing Headshell for all you vinylistas. This ‘Swing Headshell’ has a very soft and flexible joint designed to make your cartridge always align with the tangent of the groove The joint precisely machined joint has small miniature bearing inside making the “swing” of the headshell very smooth and sensitive & will ensure the stylus keeps delicate and unbiased tracking. Swing Headshell will reduce tracking angle error when installed properly and should give a better sound quality than fixed headshells. Most of the vibration from the cartridge will be dissipated at the joint and should reduce arm resonances. 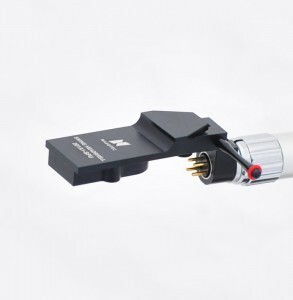 In effect Nasotec the Swing Headshell acts almost as if it were another, and very short, tonearm and will offer up a more stable stereo image than fixed headshell cartridges. Swing Headshell to your arm will extend the life of your stylus. The problem with angular deflection when playing vinyl is about as old as the turntable itself. Nasotec have found a new solution to the problem - a sort of tangential head-shell? Choice of solution for arm on turntable is often a choice between one of many evils. There are many parameters that must be met, and horizontal angle playback is one of these parameters. As is known, traditional radial arms introducing angular errors most places on the disc. And a shorter arm produce bigger angle deviation towards the center. If you increase the length of the arm, deviation is reduced. But simultaneously other parameters are introduced, such as increased effective mass. Tangential arm is the optimum solution for the angular deviation. It provides perfect horizontal tracking angle through the entire board. But then, there are also here new concerns, such as displacement mechanism..
he soft and delicate swing complements  and produces a top high-quality sound of music. 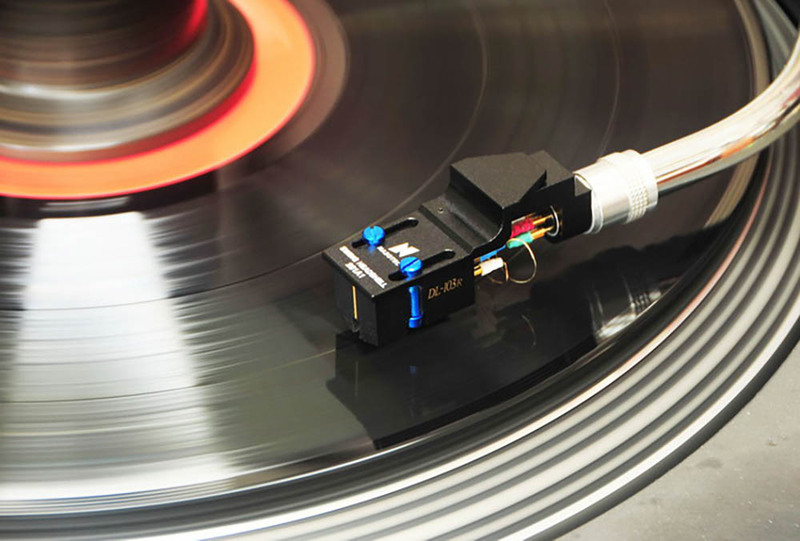 are superior to any other common type of present tonearms resonance. track a groove delicately and with well-balanced forces. weight and flexible swing, and track  both sides of groove with well-balanced forces. will be found an excellent tracking and resonance in our product. Extend lifespan of the stylus. Most important points : Azimuth and swing balance. Azimuth has a great effect on the swing. and check two swing movements are nearly the same. - The stylus should be just above the record surface when adjust swing balance. - The azimuth and swing balance adjusted on the arm lifter may not be accurate.